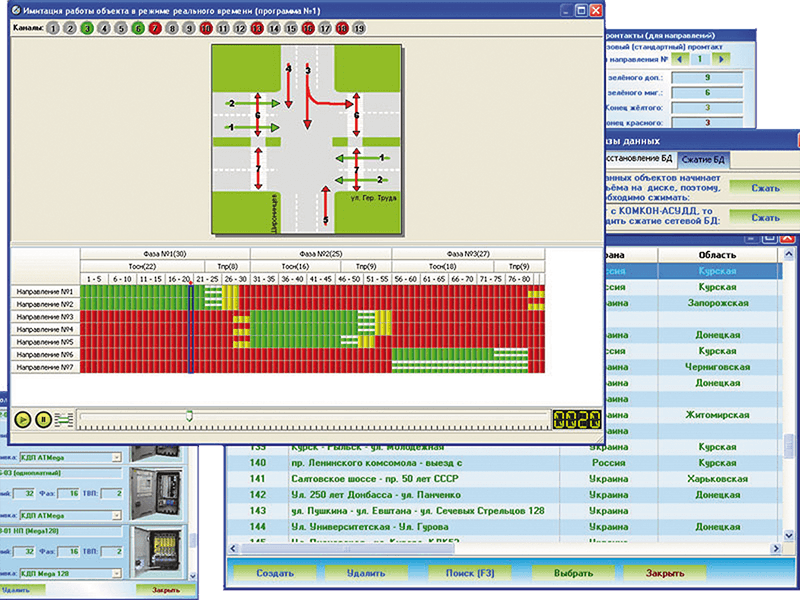 Software product is designed to prepare by the user traffic management organization, check the consistency of this organization and assign behavior of traffic controller in certain situations. Technologist (user) gets the opportunity to verify the data he entered, to simulate work of controller, and, in the final result, to write the organization directly into the controller. The user can always get a full report about traffic management for printer output. –adding of own backgrounds – schemes of crossroads. Support absolutely all types of traffic controllers KOMKON.